"We are Team Ann Hill’s Hells Angels, who are all employees at the Danielle Group. We are all taking part in Trekfest on Saturday 1 September 2018 to raise money to help stop bowel cancer. This charity is close to our hearts as we lost a colleague, Ann Hill, to this terrible disease earlier this year. 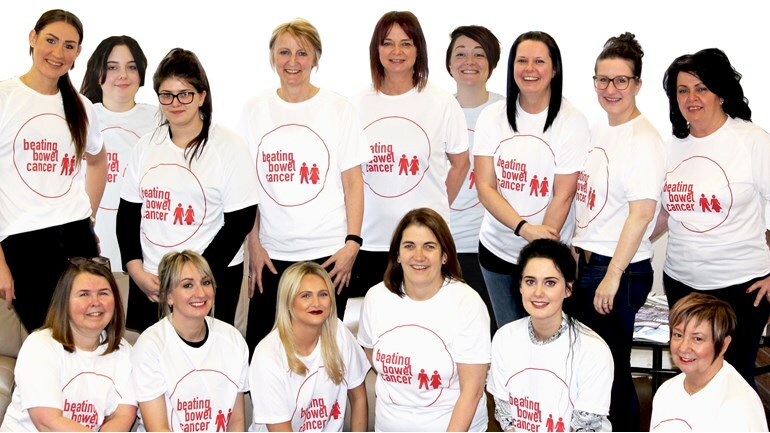 "We all wanted to do something to help make a difference, and decided to take on a big team challenge – so we will be walking 25km through the rugged, but beautiful, scenery of the Peak District! "We are a mixed bunch of ages (20-57) and fitness levels, some of us taking on a challenge like this for the very first time. We’re a close team who are all good friends so it’s a really exciting challenge for us. Most of us are relatively fit but we are following the training plan to get ready for everything! "So far we’ve raised an amazing £655 and are hoping to raise £3,000 in total! "We are sure that Ann would be very proud of our efforts to support her memory and will be smiling down on us as ever."